Day 01 Indore –Delhi Train from Indore at 4:20 PM. Night in Train. Reach H.Nizamuddin at 5:40 A.M. Pickup from Station and transfer to Hotel Delhi City Center self. Check in Hotel. Proceed to catch the Bus for Delhi Darshan from Red Fort (starts at 10:00 AM finish at 6:10 PM) SIC basis Self. Day trip will include Jantar Mantar, Lakshmi Narayan Birla Temple, President House, Parliament House, Qutab Minar. Later at Night Self Transfer to Rama Krishna Metro Station to Depart by A/c Bus for Nainital approx. 10 hrs – Night in Bus. Upon arrival in Nainital Transfer to Hotel Self. Check in at hotel Pratap Regency or Ankur Plaza Deluxe or Similar. Afternoon you can enjoy a cable car ride (on own) till the snow view point. Evening will be at your leisure or enjoy a boat ride on the Naini Lake (on own). Overnight at the hotel. Morning pickup from hotel by our car and depart for a day excursion at Ranikhet. Visit Kaichi Temple, Kumaon Regiment Shahid Smarak and Golf Course. Overnight at Hotel. 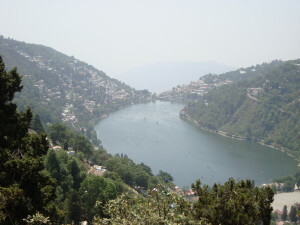 After Check out In the morning depart for half day excursion of the Lake tour visiting Sattal / Bhimtal & Naukuchiatal by our car. Late afternoon you will return back to your hotel. half day excursion of Himalaya Darshan & Khurpatal. Evening free to stroll on the Tibetan Mala Bazaar and visit the Naina Devi Temple. Dropping at Bus Stand at Night 8:30PM & Proceed for Delhi by A/c Bus. Reach Delhi at 7.00 am Morning. Transfer to .Nizamuddin Railway station self & catch the train to at 1:45 PM. Night in Train.